Yes. Yes, it truly is. Wow! Beautiful, kind of dreamy and retrospective, too. As an artist I know how a few lines can express form in the human form. This is not easy. To find this done so well on fabric and embroidered is amazing. Her neckline is fabulous. 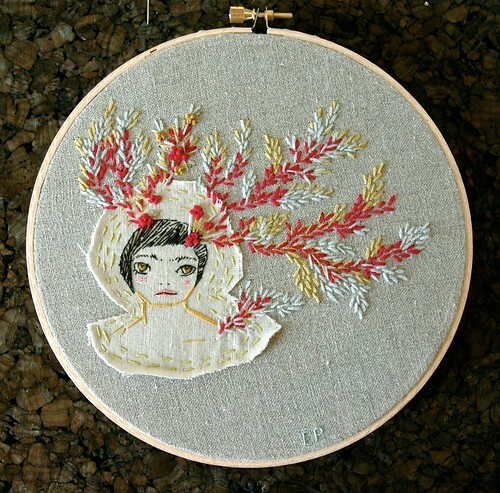 What a lovely use of imagination and thread! I want to pass you the award for your blog from mine. Beautiful! I love the layering! This is soooooooo beautiful. I the mixture of applique and embroidery. The branches are beautiful, very dream-like.